Many great bands including The Fall, The Stranglers and Big Star have released great version of songs written by Ray Davies of The Kinks. The Kinks have organised a competition in which they invite fans to record a cover of one of their songs and the winner gets to meet Mr Davies and Kinks drummer Mick Avory at the famous Konk recording studios. Go on You Tube and serach for: "The Values Harry Rag" and you can witness the splendid new video that Team Beswick & Pye have made to go with the Values version of a little known track from the "Something Else" LP that The Kinks released on Pye records in 1967. Paulo Hewitt said of the original: "A jaunty celebration of the ordinary cigarette rather than the herbal variety traditionally favoured by musicians, Harry Rag put us right back in the music hall of Ray's youth, it's funny lyrics about tabacco addiction roaring out. Harry Rag is Cockney rhyming slang for fag (ciagarette)." The Values version of Harry Rag was produced and arranged by Julian Wakeling. The lead vocal is by Mikey Georgeson. 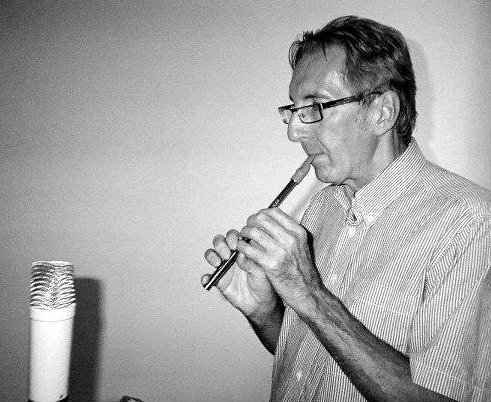 The tin whistle is played by Paul Speare. Wednesday the 14th of November is the date of the p.v of "I Remember" at The A-side B-side Gallery. The address is 5-9 Amhurst Terrace, Hackney E8 2BT The night will also be a launch party for a special issue of The Rebel magazine which features 50 people sharing a memory, plus texts by Susan Finlay, John Douglas Millar, Russell Walker, and Kitty Davies, and a free 5 track CD featuring tracks by Trogons, Orpheus Knoxx, The Values, The Pheromoans, Mikey Georgeson. The "I Remember" exhbition will feature one artwork each from... Justin Bailey, Gordon Beswick, Mel Cole, Chris Coombes, Rosalind Davis, Caroline Gervay, Dom Kennedy, Tom Lovelace, Chloe Mortimer, Simon Munnery, Kate Murdoch, Liam Newnham, Christopher Owen, Liz Purchase, Kes Richardson, Alli Sharma, Annabel Tilley, Barry Thompson, Julian Wakeling, Aleksandra Wojcik, Paul Wye. Contributors to The Rebel magazine of memories include Francis Upritchard, Andrew Mottershead, Jasper Joffe, Tinsel Edwards, Abigail Zara Parry, Cuong Sam, William Smart, John Duffin, Gemma Fleet, Tine Frellesen and Uliana Apatina. Curator Harry Pye says: "After watching Federico Fellini's 1973 film Amarcord I thought it would be interesting to see how willing some artistic friends of mine would be in sharing some of their memories. Visitors to the show, readers of the magazine and listeners to the CD will be faced with many different memories from many different people. Some say: "Half the fun of remembering is the rearranging" I don't know how much rearranging has been going on. I picked the artists rather than the work. I am unable to say which memories are true or not. I Remember is both an art exhibition and a publication with an accompanying CD. Don't forget to remember the opening party on the 14th of November."